Jeremy Shu-How Lin, a.k.a. Jeremy Lin, is a professional basketball player based in the United States. Lin currently plays for Brooklyn Nets of NBA (National Basketball Association). He is the first Taiwanese/Chinese-American player in the NBA and made his debut in 2010 with Golden State Warriors. The point guard who is a graduate of Harvard University is currently signed to Brooklyn Nets and previously played for NBA teams like New York Knicks, Houston Rockets, Los Angeles Lakers, and Charlotte Hornets. Born on 23rd August 1988, the 29-year-old was born in California and at the moment has a massive fan following and a global craze called Linsanity. He has an estimated net worth of $18 million. Today, we are going to share details about the NBA player's net worth, salary, earnings, and endorsements. Jeremy Lin's estimated net worth as of 2017 was $18 million, but his net value of 2018 is under review. Back in 2012, while his 2nd year in NBA, Forbes called him The $170 million man. In the post, Forbes said that he turned into $170 million because of some calculation even though he was receiving only $800,000 salary then. In 2016, while joining Brooklyn Nets, Lin signed a contract worth $36 million for three years. According to the deal, the player received a basic salary of $11,483,254 in 2016-2017 and $12 million in 2017-2018. And as of 2018-2019, he will be earning a base salary of $12,516,746. However, his salary was not as high when he made his debut in NBA. In 2010, he signed a 2-year deal with his first team Golden State Warriors through which he received a basic salary of $500,000 in the first year. Later in 2012, he signed deals with Housten Rockets worth $25 million for three years. During the first year, he was paid $5 million, around $5.225 million in the following year, and in the final year, he received a salary of $14.8 million. Later, he signed a two-year contract with Charlotte Hornets for $4.3 million, and as of now, as we have already mentioned, he has signed an agreement worth $36 million for three years with Brooklyn Nets. Jeremy Lin is very selective when it comes to endorsing products. He has turned down numerous deals and has signed up with only a few companies. His first big contract was with Nike. It was a three year guaranteed contract. He certainly earned millions through the deal as his jerseys were sold out and were a massive hit. Adidas wouldn’t have made a pitch to me if they didn’t believe in me as a player and person. He is currently endorsing Adidas alongside Derrick Rose, Dwight Howard, and others. 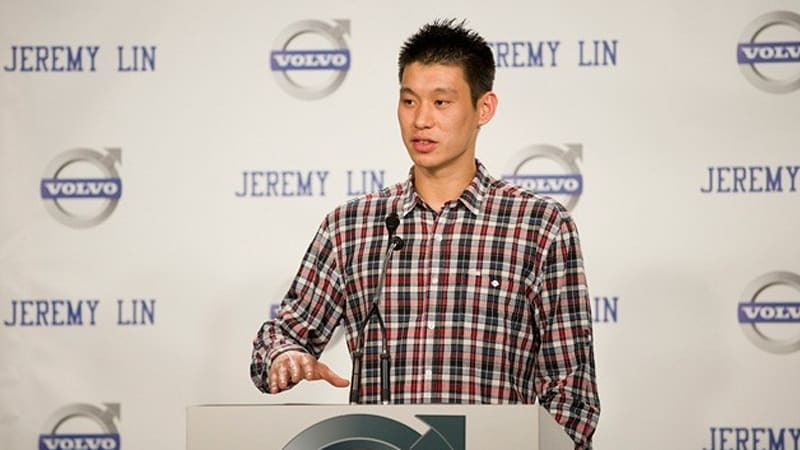 Some of the other companies which Lin has endorsed are Volvo, Steiner Sports, and others. From contract with these companies alone, he has been reported to have earned $4 million per annum. Moreover, Forbes also wrote that the player earns millions by making appearances all over Asia. Well, we wish them more success in the future. Jeremy Lin grew up in his family house in California. Given the rise of land value in the area, Lin’s family home is valued at over $750,000. However, during the early days of his career, when he was trying to break into the NBA scene, Lin often used to sleep on his friend’s couch. In fact, the night before his breakout performance, Lin slept on a teammate's couch. Soon after he signed the contract with the club, the player rented a two-bedroom apartment in the W Hotel in NYC's Financial District. The 1,182 square-feet condo is fully furnished and was on the market for $2.315 million before Lin rented it. Reports say that Lin rented it for anywhere between $3,600 to $8,900 a month.